All of our water tanks are rotational moulded from high quality, industrial strength MDPE (Medium Density Polyethylene) using the latest in UV stabilization technologies. Our water tanks are pre-insulated to give maximum protection in the cold months. Our 1070 litre water tank comes fitted with a 16" lid and a 1" BSP fitting positioned at the base of the tank inline with the lid. 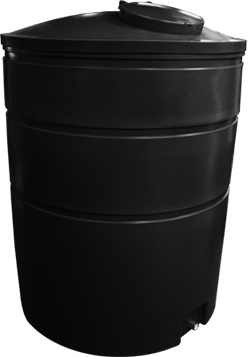 The 1070 litre water tank is fully vented for both potable and non-potable water. Also it is low in height, making this water tank ideal for easy filling and easy tank access for pump installation.